$300 for up to 15 guests split between two games. $20 for each additional guest up to 20. SUN – THUR: $450 for up to 23 guests split between three missions. $20 for each additional guest up to 30. FRI & SAT: $25 per guest, minimum 20 guests. Premium rate applies Friday & Saturday due to rotating schedule of mission times. Our Party Room can be added to any reservation for $50 for up to 2 hours by calling us at 724-383-6066. 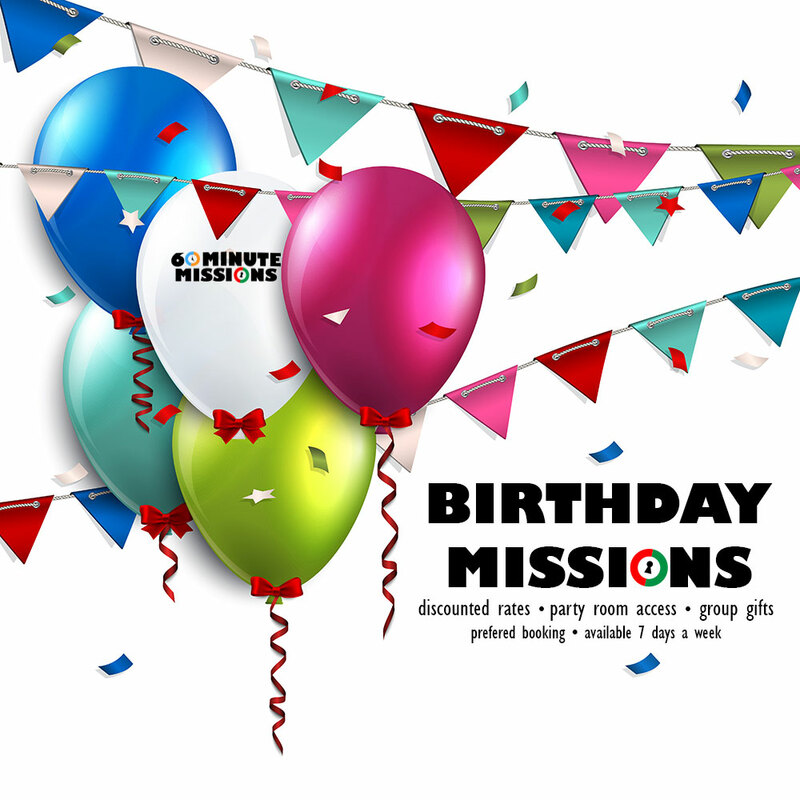 A 20% deposit is due at time of booking for all private party missions. Celebrate a birthday at 60 Minute Missions Escape Room with discounted rates, party room access, group gift options and preferred booking available 7 days a week. Contact us at book@60minutemissions.com for formal quotes and date availability.